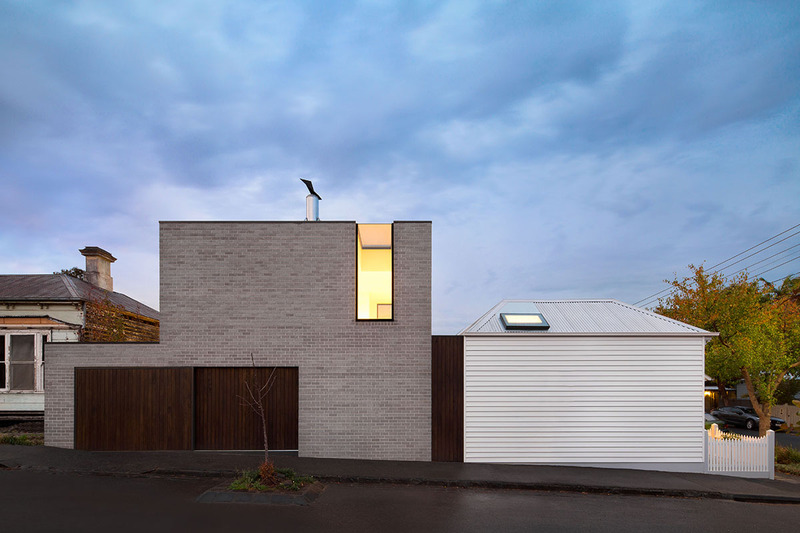 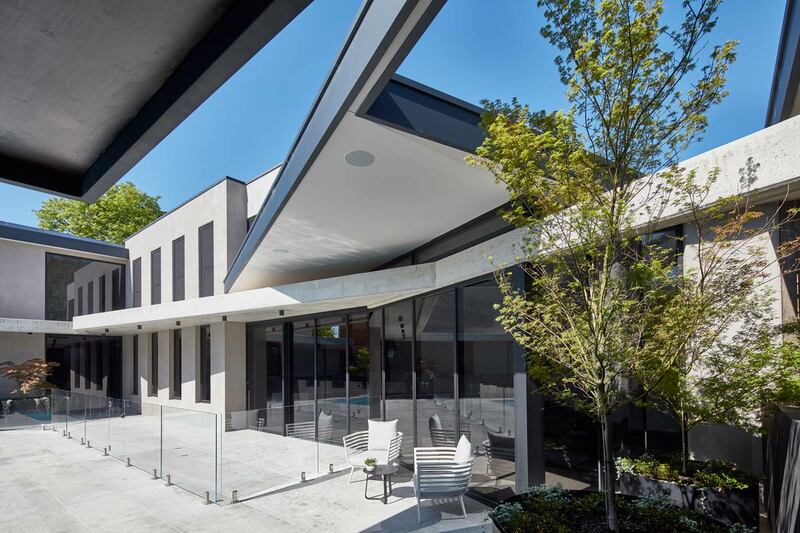 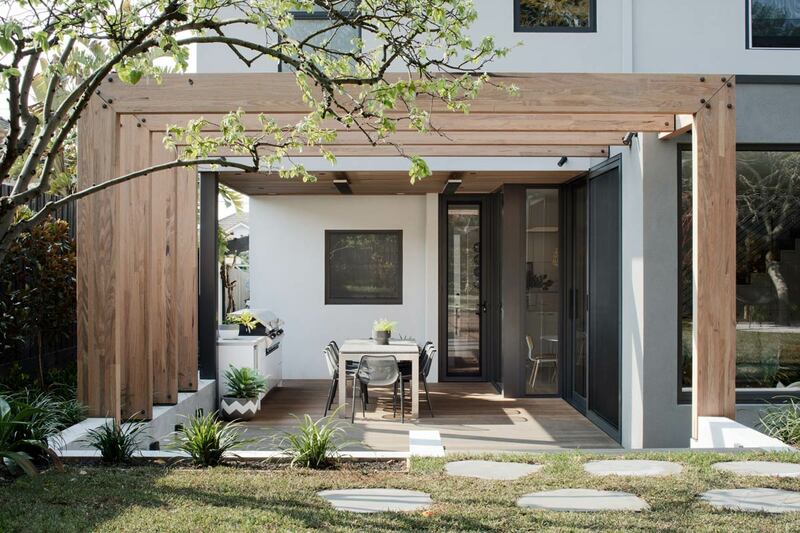 This extensive Residential Renovation in Richmond retained and enhanced the existing heritage façade of the home and added a contemporary double story addition which seamlessly connected the interior with exterior courtyard. 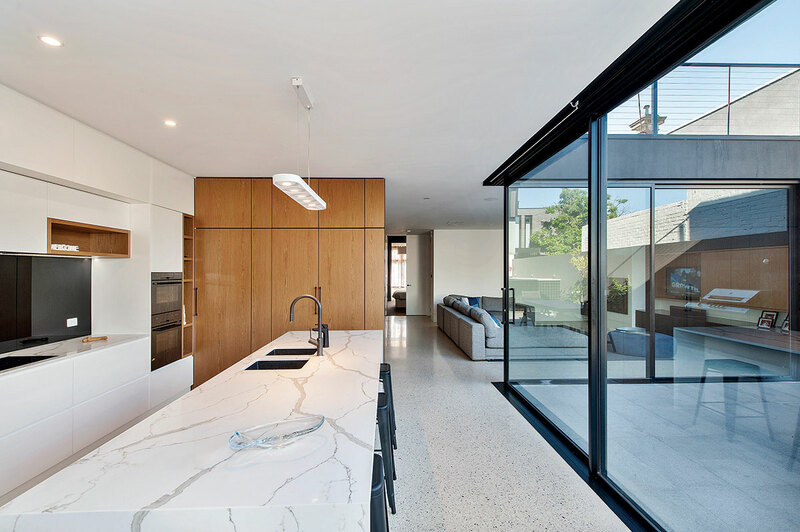 The Residential Renovation was designed around allowing the key living areas of the dwelling to capture maximum views out onto the large central courtyard. 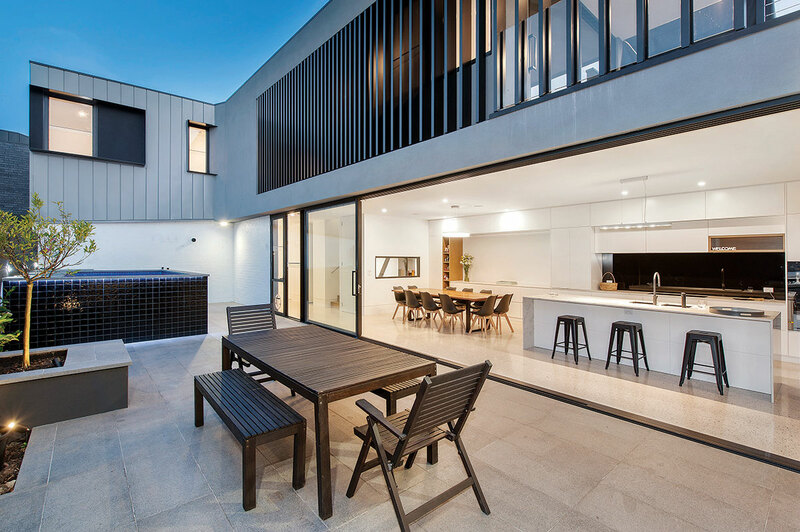 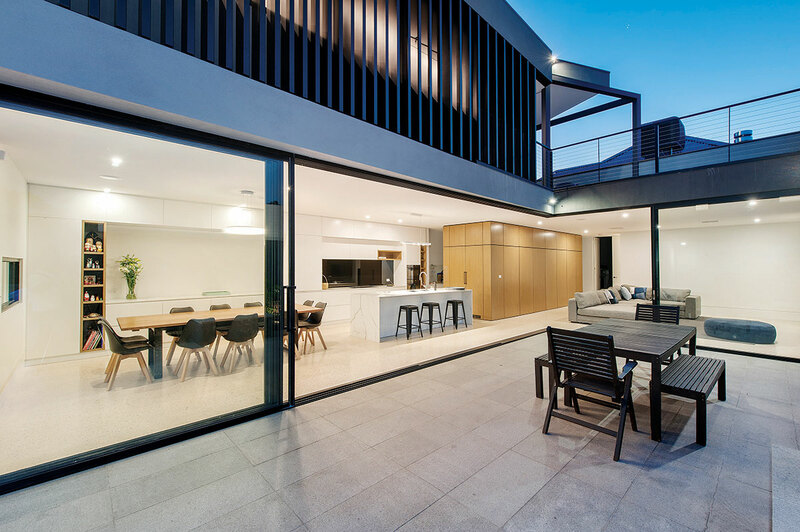 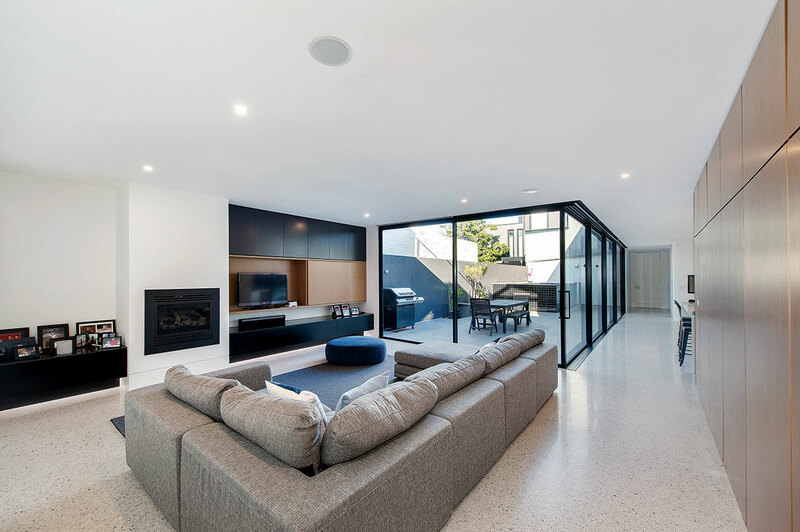 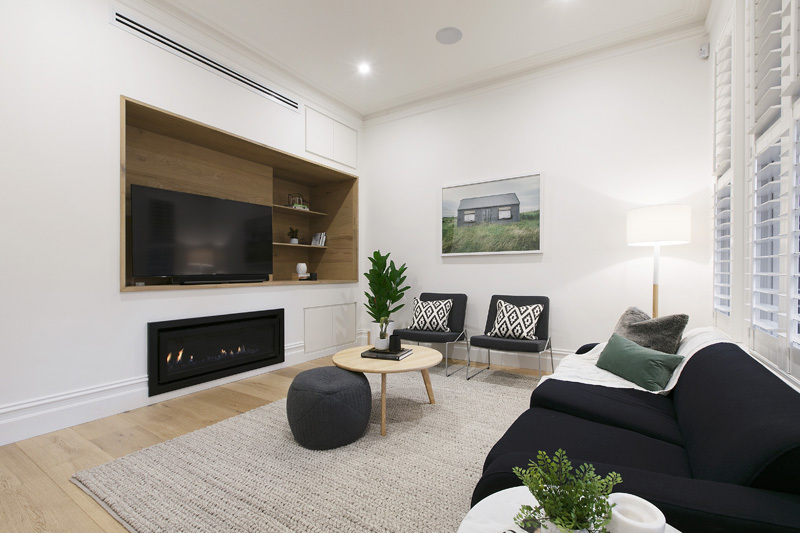 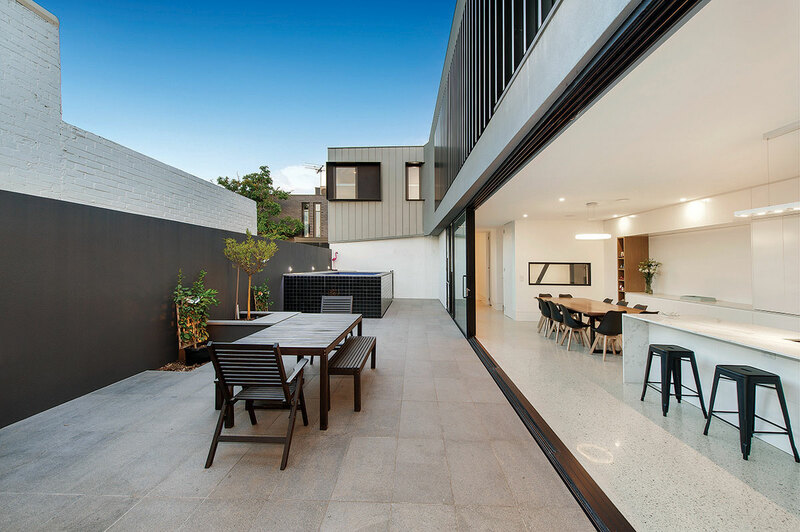 The large sliding panel black framed aluminium doors can be opened to allow spaces to interconnect, and when closed help to segment parts of the dwelling into smaller spaces. 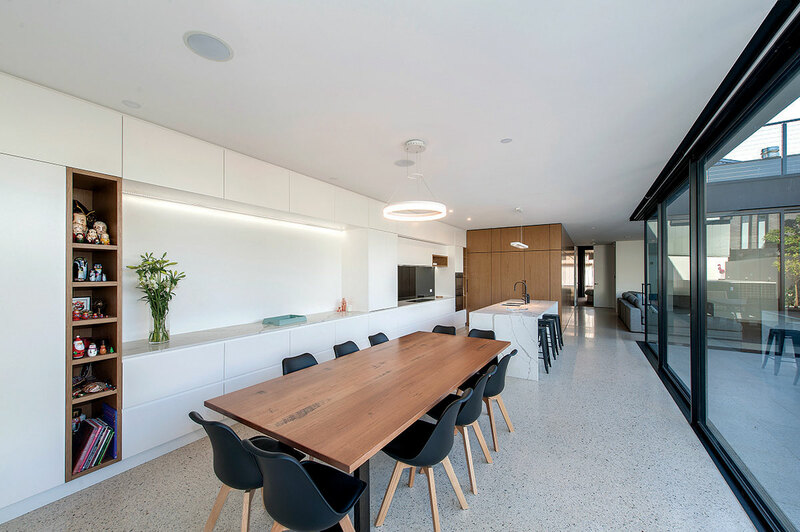 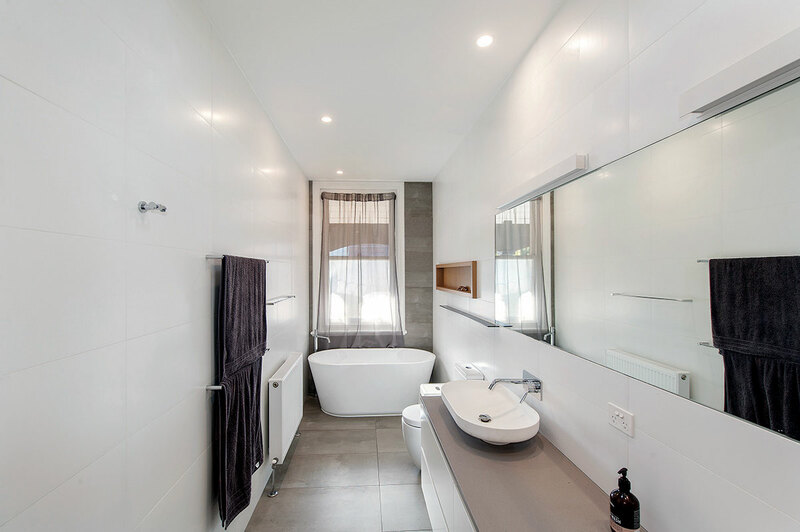 The interior was completed with white painted plasterboard and a light colour polished concrete slab on ground. 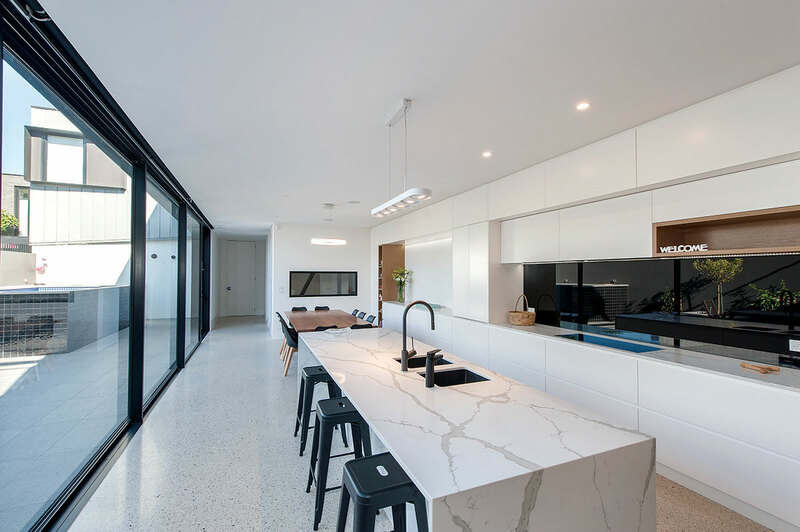 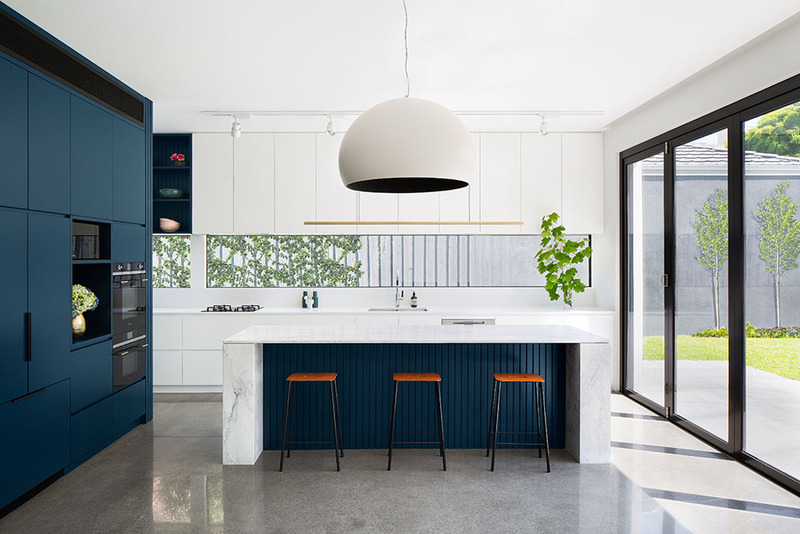 The kitchen has been detailed with a feature marble benchtop and a waterfall edge to the island benchtop, and is matched with a painted glass splashback. 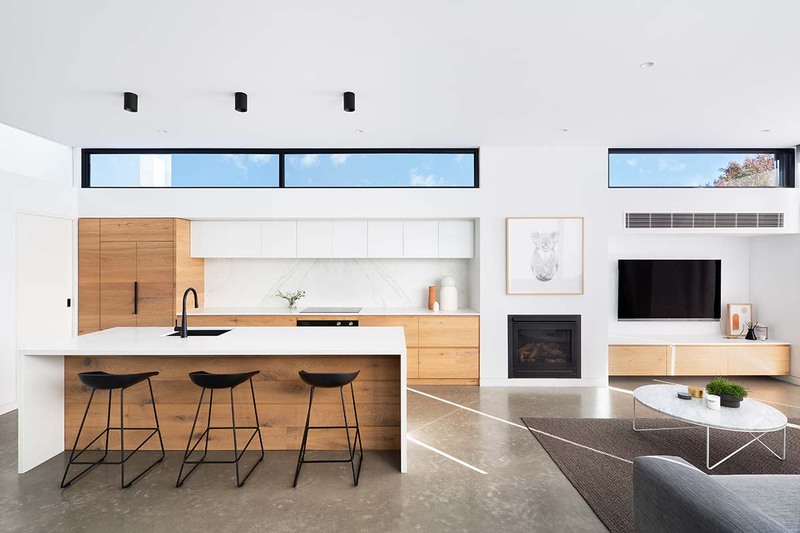 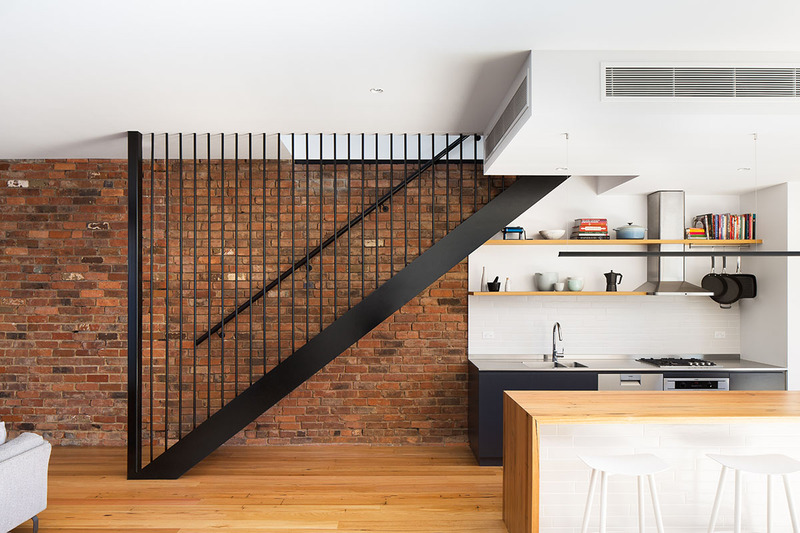 The other built-in joinery also features timber shelving, and matching wall panels to add a texture to the interior spaces. 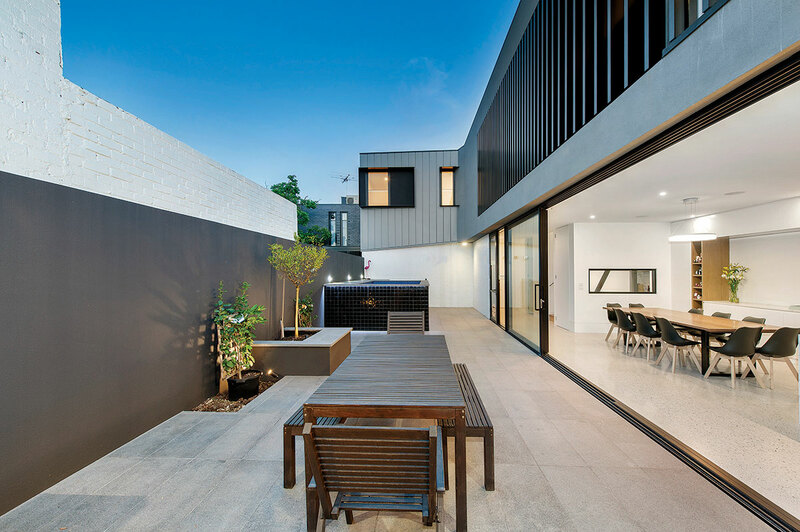 The external central courtyard of the Residential Renovation was completed with low maintenance surfaces including bluestone paving, and feature painted brick walls. 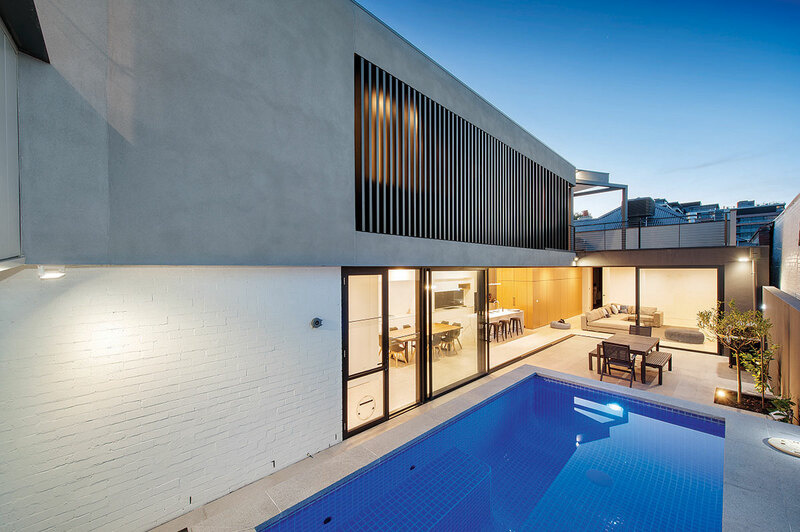 A raised swimming pool with dark tiles has been located at one end of the space and is finished with feature LED lighting. 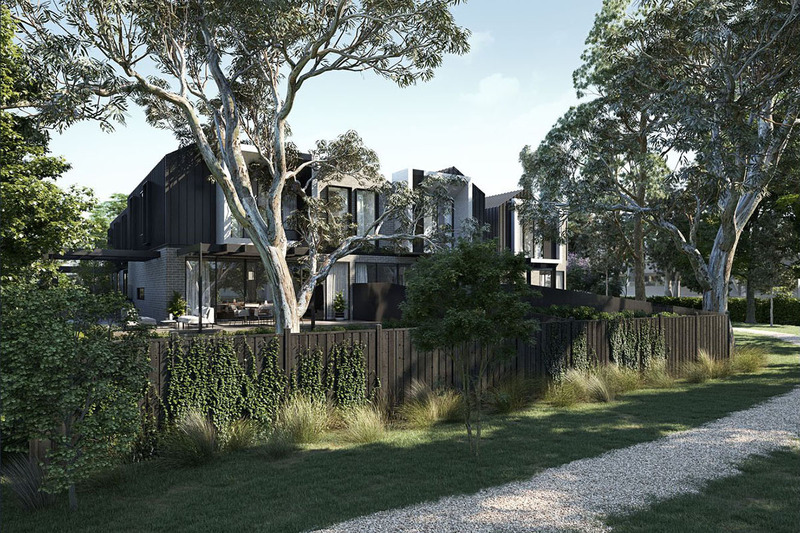 The first floor includes a combination of custom folded metal cladding, cement render walls, and integrated black aluminium vertical blades to minimise potential overlooking and maintain privacy within the interiors. 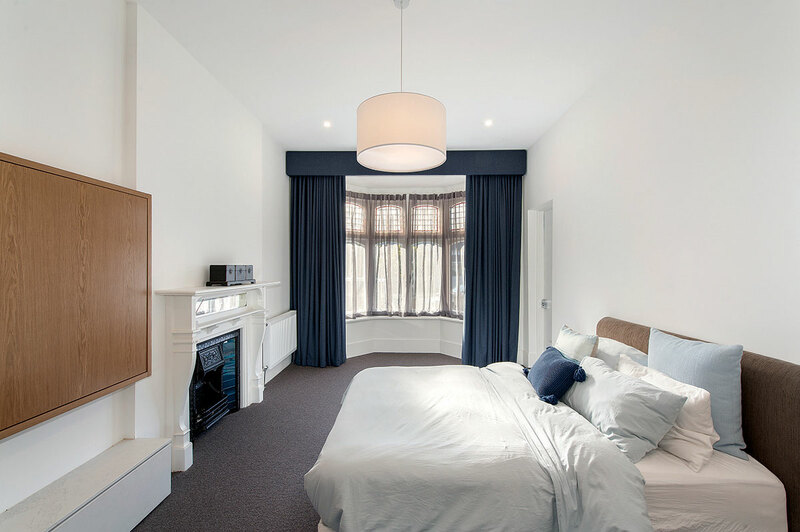 The construction phase of the Richmond Residential Renovation was completed in November, 2016.